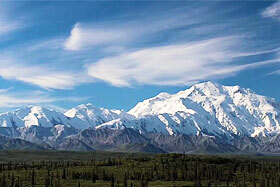 Trust Charter Everything to offer you luxurious, affordable and flawless bus transportation across Alaska. 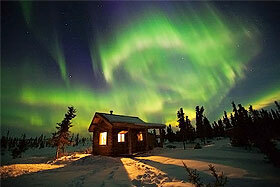 A heaven to adventure enthusiasts, Alaska offers the ideal combination of fun, frolic and entertainment. Choose from the best fleet of bus charters and explore various tourist locales in and around Alaska with our luxury charter buses. Fall in love with the unique beauty of the area and enjoy the best trip with your friends, family or coworkers. 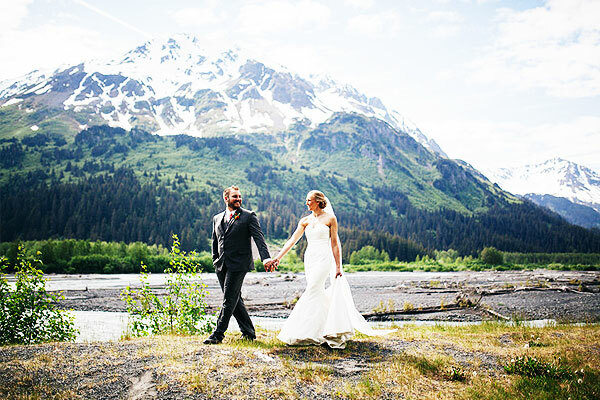 Are you still confused about the right type of bus for your wedding guest, corporate event, family or friends tour in Alaska? Do not worry! Just give us a call at and talk to one of our knowledgeable representatives. Just inform them about your trip requirements and we will help you select the best shuttle bus transportation that perfectly fits your budget and ideally matches your travel requirements. We offer you a no-obligation and hassle free charter bus quote! So, what are you waiting for? Do not miss out on checking out the incredibly vast and amazingly beautiful state of Alaska; simply give us a call toll free and book your next charter bus today! With more than 25 years of experience, Charter Everything offers the largest fleet of shuttle vans, limousines, minibuses and charter buses in Alaska. Whatever your transportation needs are, you can always count on us to help you streamline and organize the ideal transportation matching your trips budget and travel requirements. Select from a wide assortment of coaches, beginning from 20 passenger mini buses and shuttle buses all the way up to luxurious charter buses comfortably seating 61 passengers. We not only arrange the best transportation, but also ensure that your journey to your destination is memorable and comfortable. With Charter Everything, you can request a wide array of amenities including TV & DVD players, restroom, seatbelts, power outlets, Wi-Fi, soft drinks, snacks and so much more. Whether it’s arranging corporate shuttle, taking your employees on a business trip or planning business travel to another city for a dozen or more employees, leave all your transportation worries to us! With Charter Everything, you can keep your entire group together and arrive at your destination on time. Don’t separate your employees or business associates in different groups or send them in public transports, cars or ride share apps. Choose one of our charter bus rental and take your employees to your destination in style. What more, your employees or associates will even be able to continue work in the bus via power outlets and Wi-Fi and get the opportunity to socialize and know each other better as well. If you have to organized a business conference and your clients are going to visit from a different cities or countries, we can arrange group airport shuttles that will offer picking them up and transporting them to the hotels and then to the business conference or meeting venue. Your clients are sure to be impressed with your thoughtful gesture as they can sit back, relax and even prepare for the upcoming conference or meeting. When it comes to exploring the rugged but enticing beautiful glory of Alaska AK like Portage and Mendenhall Glaciers, Glacier Bay, Katmai and Denali National Parks, Pribilof Islands (fur seal home), Kodiak Island and so on, the best way to go is hiring a private charter bus with us. Coordinating a large group travel can be frustrating, especially if travelers are going in different transportation modes. Carpooling and arranging separate rides can be expensive and at the same time baffling. Your solution lies in just a call! Give us a call and rent a bus with Charter Everything, leave all your transportation worries to our experienced CDL drivers. Decide on a central location and we will pick your group from there. Now, there is no need for you to worry about sorting out funds for tolls and gas, arranging different vehicles or ensuring that all drivers know the venue directions. Let us make your group travel stress free. Leave your transportation worries to your next sporting event, tournament or game to Charter Everything! With significant storage bays and legroom, you and your team can easily store all your sporting and training equipment as well as luggage. If your a fan and looking to enjoy a day trip to a game. Let us arrange a luxury charter bus or minibus for you and your freinds, family or coworkers so you can enjoy the game stress free. Whether you are visiting Trax Outdoor Center, MTA Sports Center or Alaska Bicycle Center, we are always there to provide excellent charter bus service in AK. With us, you can be worry-free as we provide transportation 24 hours a day, 7 days a week. We will provide you with a charter bus to your favorite game in Alaska for any type of sporting event. If you have covered all the outdoor attractions and still will like to check out what else Alaska has to offer, we can take you to a few places which will simply amaze you. With Charter Everything, you can embark on a tour of the University of Alaska Museum of the North and check out the preserved collections and specimens which focuses on the enthralling heritage of Alaska with our luxury charter buses. To add to your thrill, you can add Alaska Native Heritage Center to your travel list to know more about the history of Alaska and its indigenous people. If you wish to explore the incredible ice sculptures created by the world champion ice carver, Steve Brice, and his wife, we will take you comfortably to The Aurora Ice Museum in Fairbanks in our luxurious bus charter. Wedding day preparations can be tiring, but why not take the opportunity to tackle one of the toughest ones right now “Wedding guest transportaion”? With just one call we can offer you a complete wedding package for your entire wedding party! Simply give us a call and we will streamline all parts of your wedding transportation from pickups from the airport and hotels to drops at the wedding, church and reception venue, we will handle it all, even the after party and at extremely budget-friendly prices. There can be nothing more baffling that trying to handle the transportations for your guests from the start of the ceremony to the end. But now if you choose Charter Every Thing, with us you are simply stress free! Take all your guests to the ceremony, their hotels, reception venue or city tours with ease. Do not waste precious time on the wedding day waiting for free hotel shuttles, shared Uber rides or public transports. 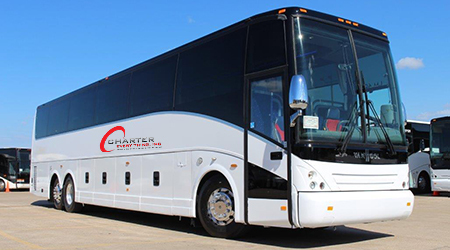 Instead, work with Charter Everything, an industry leader in bus charter rental anywhere in United States. Just inform us about your travel requirements, when you book a charter bus in Alaska with us our drivers will arrive at the desired destination on schedule. As you discovered, touring Alaska can turn out to be extremely fun and entertaining and what better way to visit your favorite places than in one of our comfortable, affordable and safe charter bus in Alaksa? Travel in style and maximize your time with us. Simply inform us about the day(s) when you wish to rent a bus and the total number of passengers, we have a large fleet of buses at your disposal to choose from. Get a free charter bus quote and you will be surprised at how cost-effective your transportation actually is! 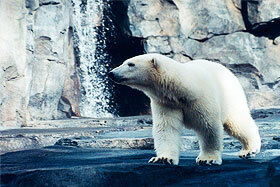 We can make your travel all the more fun by recommending some of the best places to visit in Alaska. So, what are you waiting for? Call us today! Stop worrying and plan your perfect trip with Charter Everything!